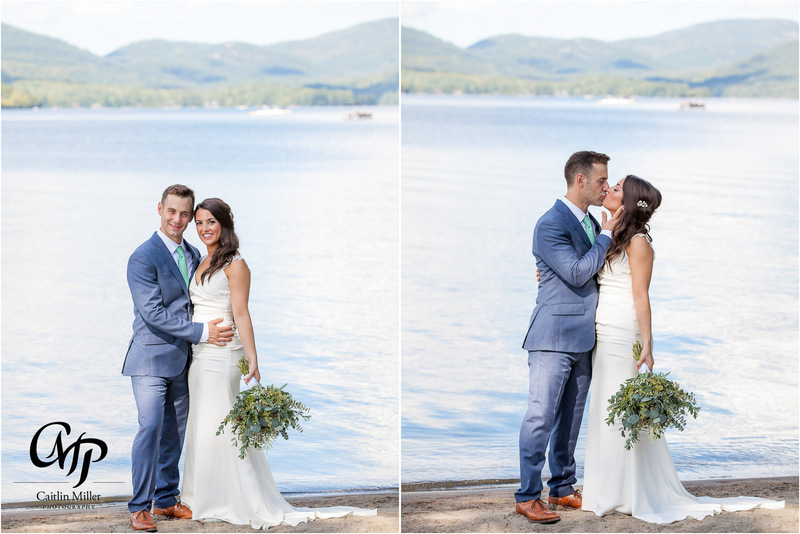 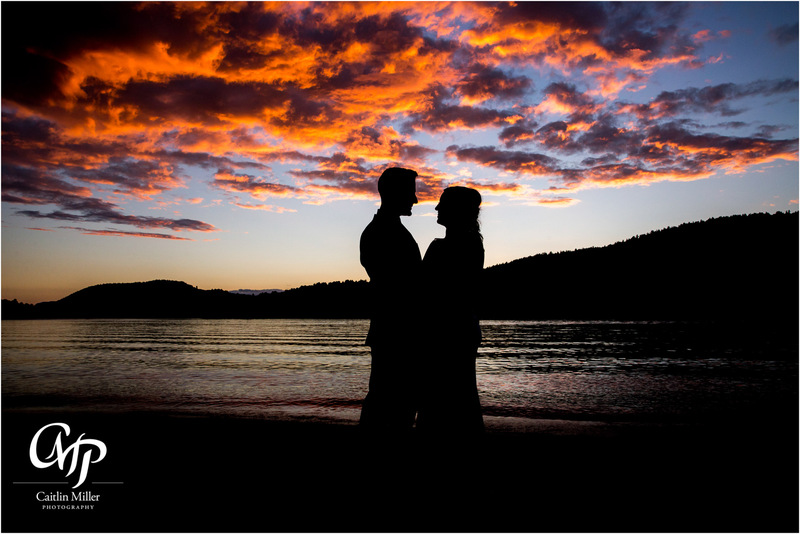 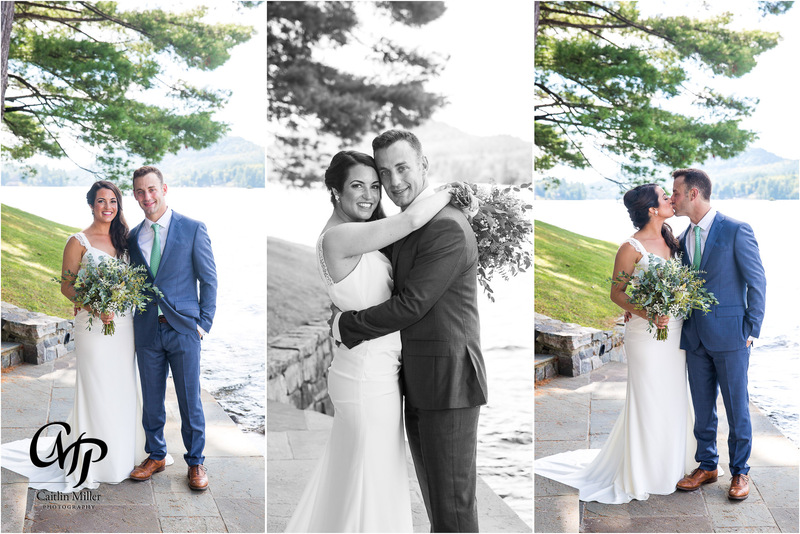 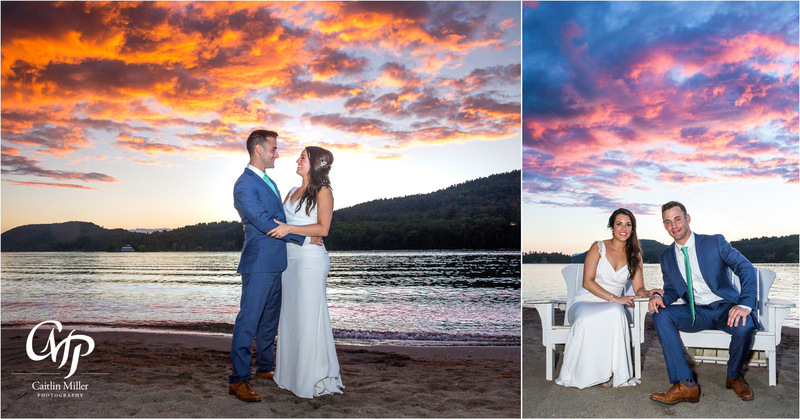 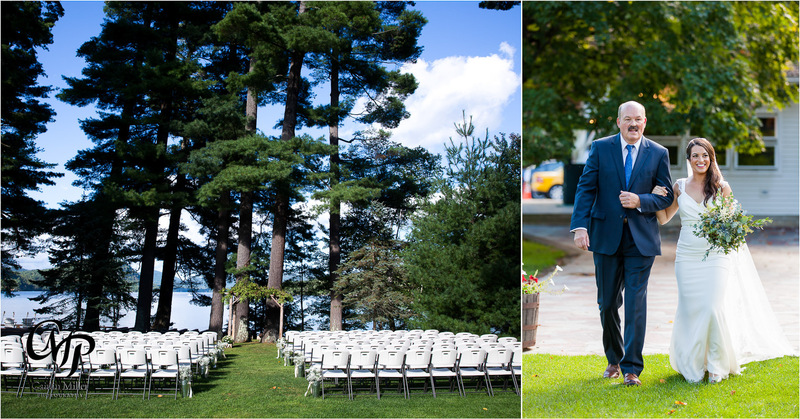 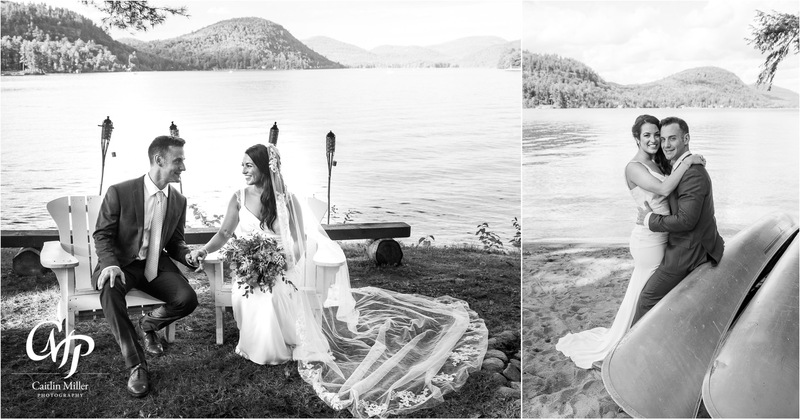 Kenny & Kelly’s wedding day began on a warm morning in Brant Lake at the beautiful Jimbo’s Club at the Point. 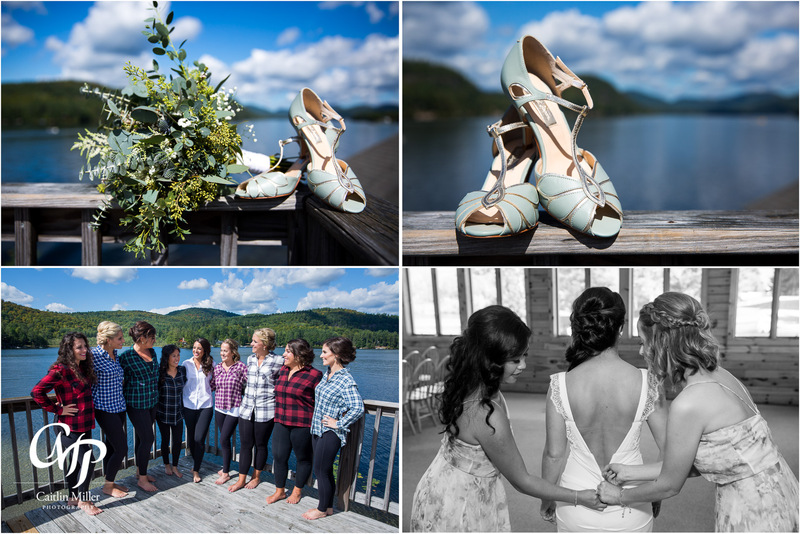 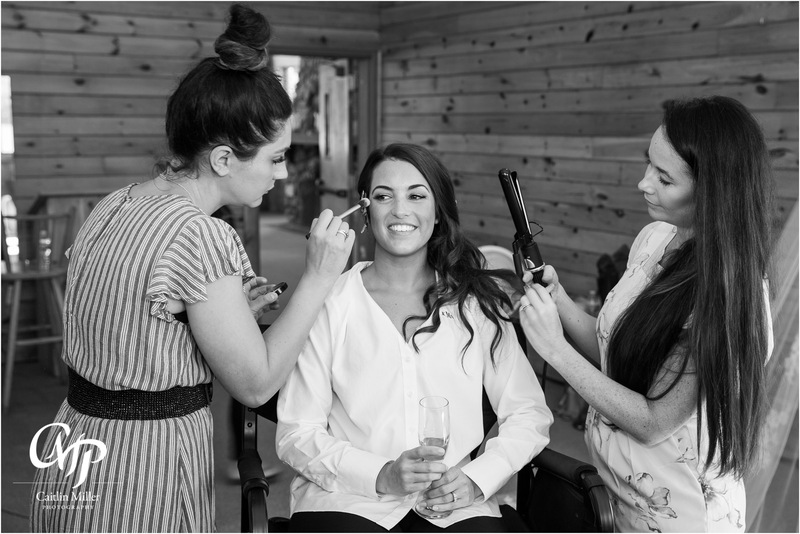 Kelly and her bridesmaids get ready in the boathouse to the sounds of loons and lapping water. 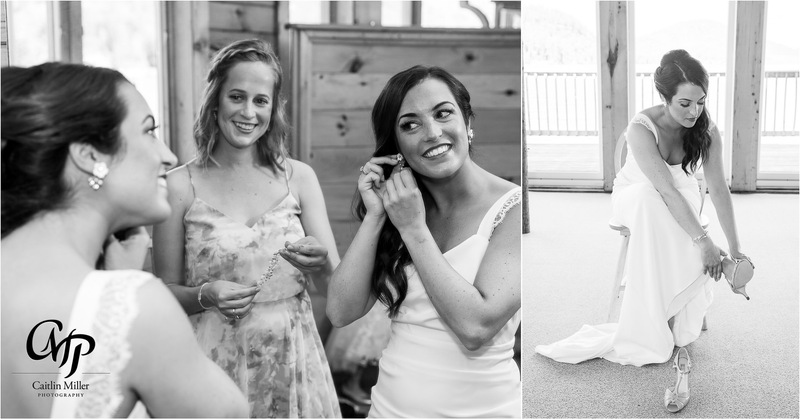 Kelly stunned as she donned her figure hugging bridal gown and shared a first look with groom-to-be Kenny. 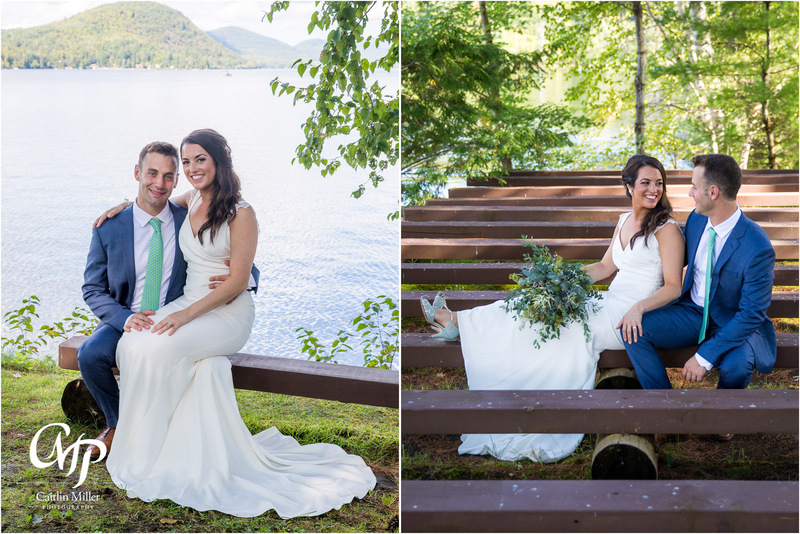 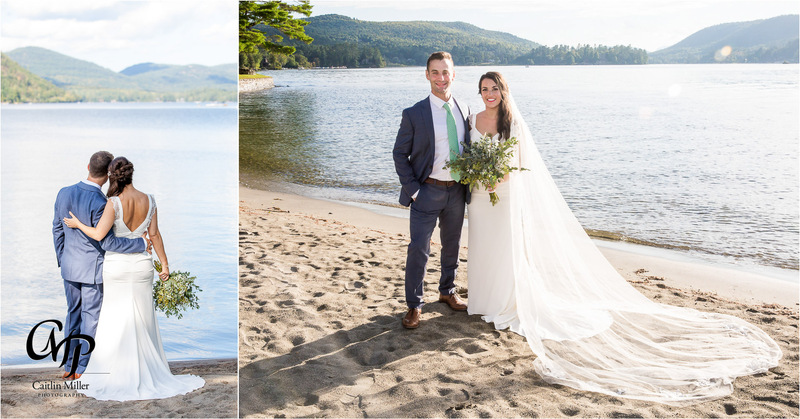 The couple traveled the island to capture lakeside images before meeting up with their wedding party for some fun group photos. 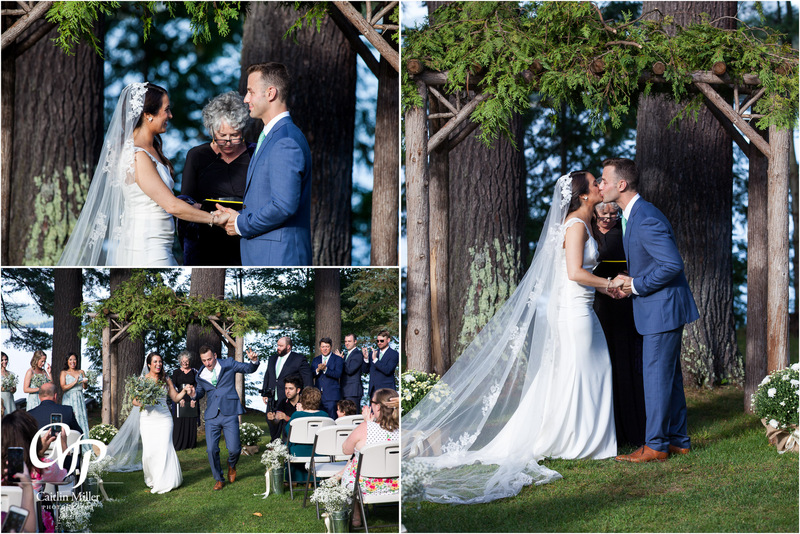 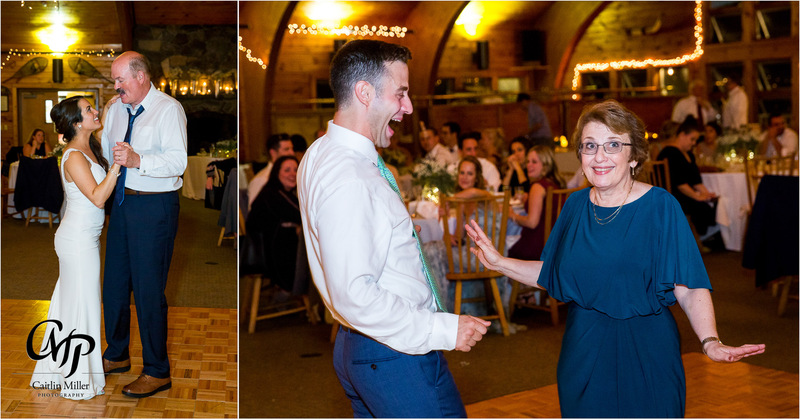 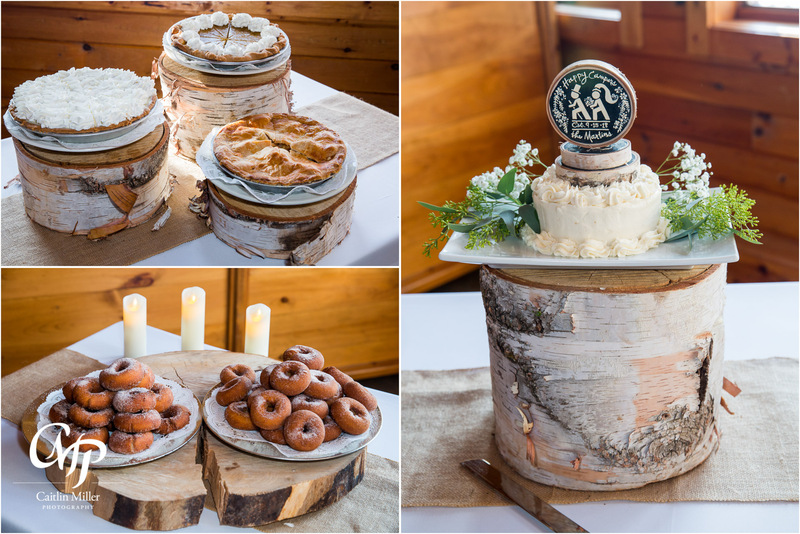 A sweet ceremony followed – peppered with quirky details about the couple. 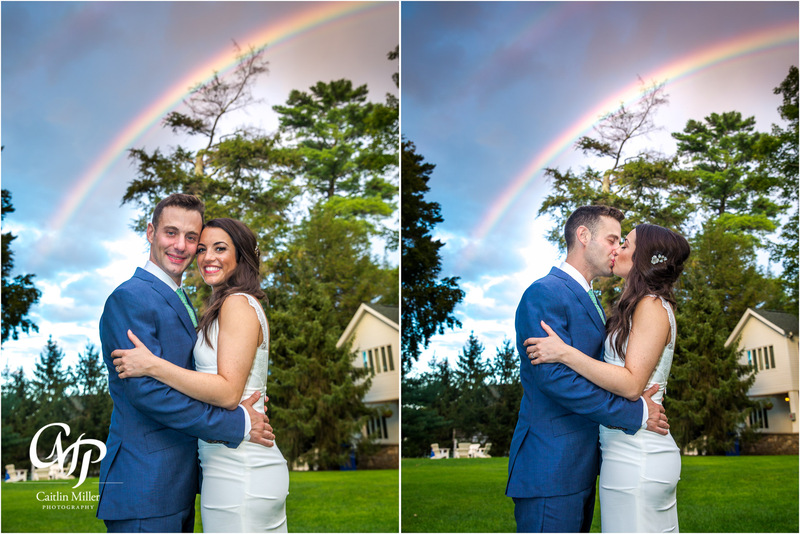 A passing storm provided bright rainbows and a bright sunset for this couple before they joined their guests in the ballroom for speeches and dancing. 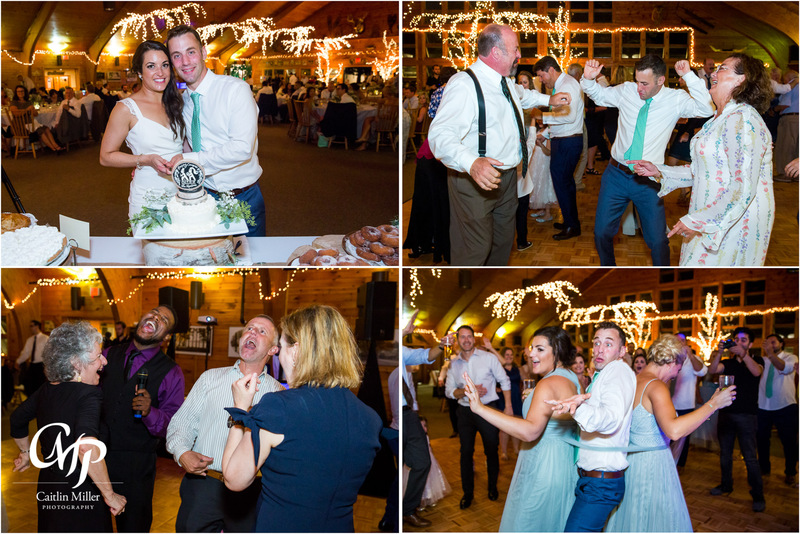 DJ Mike form Cool Cat Entertainment rocked the house with tunes from all decades. 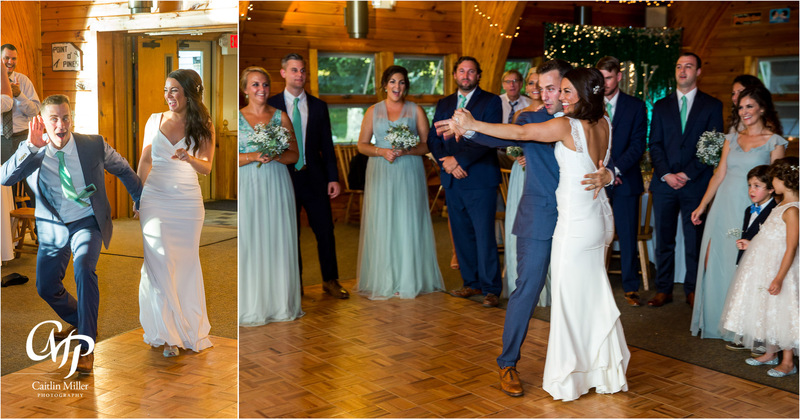 Best wishes to this phenomenal couple!